One of the Campaign for Southern Equality’s central programs is the Southern Equality Fund, through which we provide funding and training to Southern LGBTQ folks doing heroic organizing in their hometowns. We believe that building grassroots leadership is essential to the longterm vision of building LGBTQ political power in the South, and that’s why we regrant 10% of our budget to organizers on the ground across the South working to advance the legal and lived equality of LGBTQ Southerners. This month we’re spotlighting one of the Southern Equality Fund grantees, Memphis Black Fashion Week. Organizer Stixx Mathews is in the throes of coordinating MBFW 901, which will take place this spring in Memphis – from May 31 until June 2. Ahead of the big event, the Campaign for Southern Equality spoke with Stixx about his vision, the event’s impact on the LGBTQ community, and more. Take a look! CAMPAIGN FOR SOUTHERN EQUALITY: Congrats on gearing up for the big event! Tell us a bit more about the project, how you conceived of it, and what its impact will be on LGBTQ Southerners. 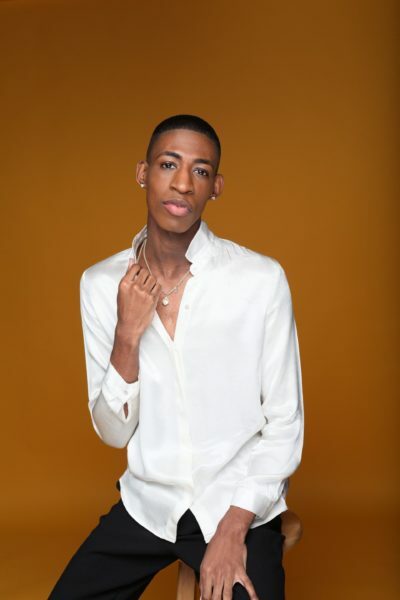 STIXX MATHEWS: I’m working in the fashion industry in New York, and I learned the hard way about getting my foot in the door, especially as an effeminate gay man who is flamboyant in my style of dress. You would think it’s different for LGBTQ people here, but in New York it’s really tough. When you’re in this kind of industry, it can be really cutthroat. I had to eavesdrop on conversations, sneak into events, and ask lots of questions to put myself in a position where it seemed like I knew what I was doing. I’m originally from Memphis. And the newer LGBT community in Memphis is different than it was when I first came out. The community is increasingly accepting. In my current work, it feels often like I am one of the only people in the South visible in these spaces. When I go back home, folks in Memphis always have a lot of questions for me – they want to know how they can get into Fashion Week, how they can do makeup, etc. Those were the sorts of things that I was getting asked about often, so I wanted to set up a foundation for every person in these spaces – no matter their orientation or identity – to help them get a platform for learning about this process. I want to be sure they know the right etiquette to go about things in the fashion world – things like responding to emails, how to speak when you’re doing an interview, the fundamentals of working the industry. I want people to have a bigger jump-start than I did. I didn’t have a jump start. I made a fool of myself. If I could stop the next person from making a fool of themselves, the work going into MBFW 901 will be worth it. CSE: Why is fashion such an important part of the LGBTQ community, and what do you think about LGBTQ inclusion in the fashion world? SM: Even though the fashion industry has come a long way in their politics, there is still a long way to go. It’s easier for gay men to do things, but when you’re of a different subgroup, it can be challenging. For example, it’s hard for trans women and trans men to book jobs. They have the potential, but they may not have the tools. 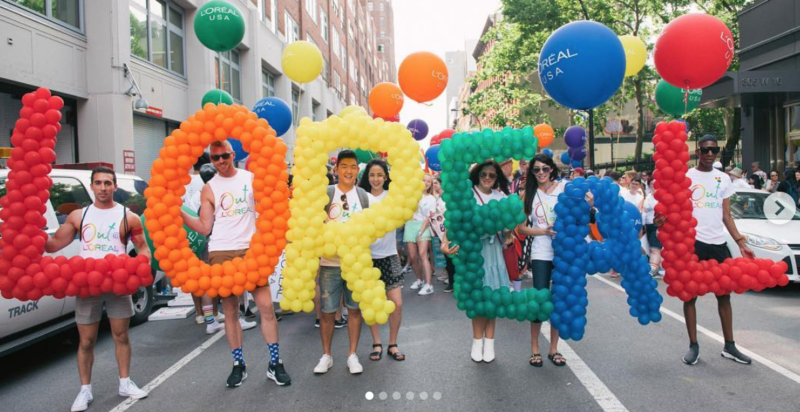 Most designers that are not of a certain caliber or status, especially in the LGBTQ community, they’re frequently overlooked, so people may not see their designs. Whether you’re a designer, a model, a nonbinary person, a trans person, whatever – MBFW 901 is designed to help you get the maturity and confidence so you can go in, get these jobs, know how to dress, know how to set things up. It sometimes is a cutthroat, every-person-for-themselves industry, but I wanted to share the information I know, because there is enough room for all of us to win. The event venue where we’re hosting MBFW 901 in May and June is in the LGBTQ community event space, where they have the open house, drop-ins, etc. We’re transforming those spaces. We have trans and gay models. Everyone across the spectrum is mentioned in some type of way – designers, correspondents, models. And I’m going to guide them hand by hand – from casting calls we hosted in March to walking them through the shows. CSE: How did you find the Southern Equality Fund? And how has the SEF grant helped kickstart your work with Memphis Black Fashion Week? Every little bit helps, because with me, everything is funded out of my pocket. A lot of times, I heard no. And that’s fine – you keep going. But now, with additional help from the Southern Equality Fund and others, I’ll be able to do everything I set out to do: Get the materials printed out for the models, work with photographers, put money on the stylist kit for stylists who are doing the stage work. Every little bit helps! It means the world to people like me trying to make a difference in the community. CSE: Can you share more about the significance of providing a Black-specific space for this event and elevating that? SM: It’s so important. I wanted this to be color-centered. We have Memphis Fashion Week, and you don’t really see anyone of color. You don’t see anyone who is visibly a part of the LGBTQ community, and it’s frustrating. It coincides with some of the ideas that I’ve been sharing: We are not given the platforms, the literacy, anything we need to succeed. A few years ago, I applied to be a correspondent for Memphis Fashion Week, and no one ever responded. You don’t see so many people of color doing the work. So creating that visibility is important. I love creating this avenue for us, by us, making this a space where people can continue to grow, watching them soar their wings, take it to other spaces. That’s why I’m more specifically only accepting models in the LGBTQ community. CSE: What was it like growing up in Memphis, and how have you seen the city change? SM: Growing up LGBTQ in Memphis, it was really dangerous ten years ago. I had a friend who was killed in front of me. I’m one of the people who came out in Memphis in the early 2000s and made it out alive. A lot of people were murdered or lost to HIV/AIDs. My dad was a bisexual man from the 80s who passed away from complications with HIV in 2005. I lost a lot of family members and friends who are LGBTQ. Going home brings back a lot of old memories. But things are improving. For one, we didn’t have a space like the center, where we’re hosting MBFW 901. Now, I can comfortably go home to people who have a passion, it’s fulfilling to go home and stoke that passion and say, “Hey, you can do this.” I don’t like the word “tolerance,” but I like it better than “ignorance,” and things have become more tolerant in Memphis. Learn more about Memphis Black Fashion Week 901 by clicking here or visiting www.MBFW901.com. You can also follow Stixx Mathews on Instagram.